There are a number of facilities throughout the Parish. Market Bosworth Parish Council is responsible for the Parish Field and Memorial Garden, 2 unsupervised play areas (one at Heath Road, the other at Waterside Mede), and 3 grassed spaces on Northumberland Avenue, Stanley Road and Weston Drive. 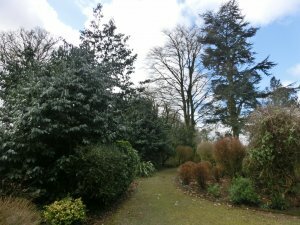 The Country Park is the responsibility of Leicestershire County Council which is also responsible for the grass verges and other grassy areas such as those on Springfield Avenue and Heath Road. This is the application form to hire the Parish Field. A more detailed Event Application Form should also be completed for large events which may involve the erection and installation of impermanent structures and equipment such as marquees and staging, or which involve the sale of alcohol. For more details please contact the Parish Office. The Memorial Garden lies adjacent to the Parish Field. It can be accessed via the Parish Field entrance on Park Street or at the junction of The Park, Rectory Lane and Park Street. 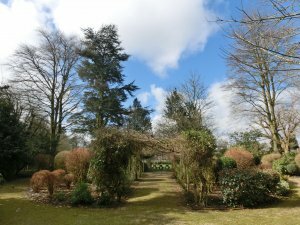 A major rejuvenation project took place during 2018 to make the area more inviting for visitors and to raise awareness of the fact that the Garden is dedicated to the memory of those who lost their lives during World Wars I and II. 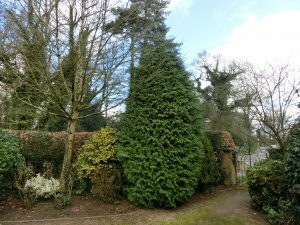 Heritage Interpretation Panels have been installed to explain the background to the Garden and commemorate those from Market Bosworth who lost their lives in the First and Second World Wars. Below are pictures of the Memorial Garden before the site was upgraded.